Still have a question? Ask us. 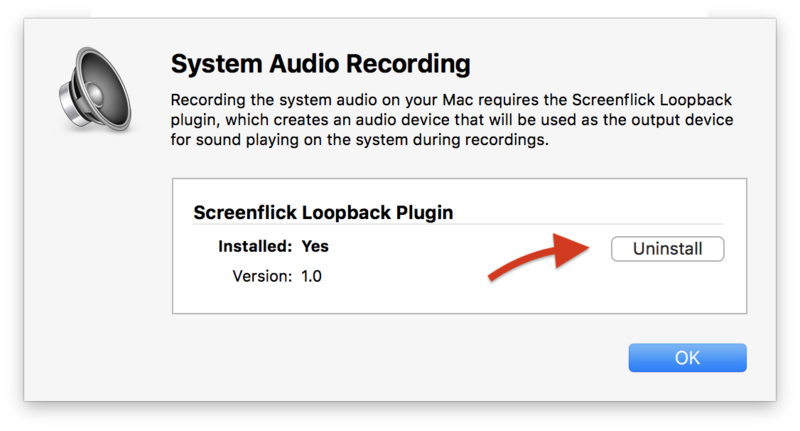 The Screenflick Loopback extension for macOS must be installed to record the "system audio" playing on your Mac. Inside Screenflick, click on the "Audio Extension…" button next to "Record System Audio". Click on the "Install" button in the sheet next to the Screenflick Loopback extension. Run through the installation process as normal. To uninstall Screenflick Loopback, click on the "Audio Extension" button in Screenflick, and then click on the "Uninstall" button in the sheet that opens. 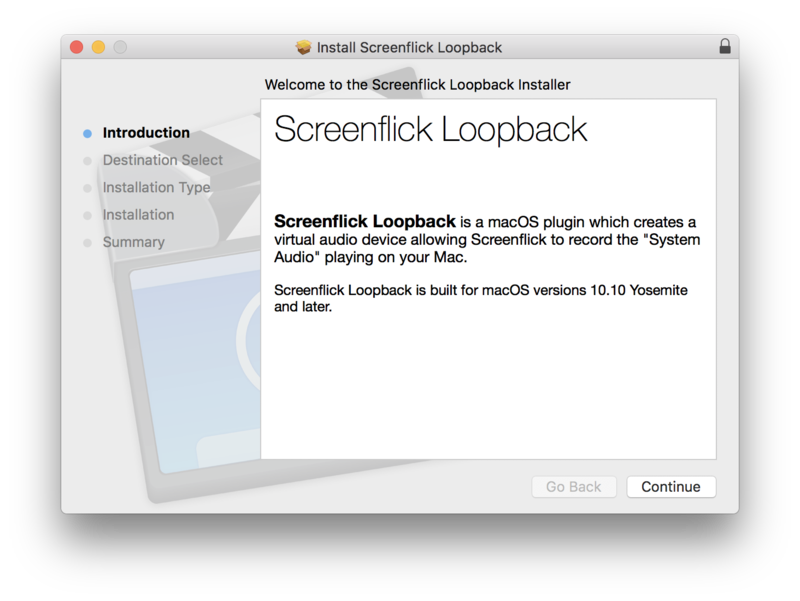 An alternative method is to uninstall Screenflick Loopback is to delete the file /Library/Audio/Plug-Ins/HAL/ScreenflickLoopback.driver and then restart your Mac.